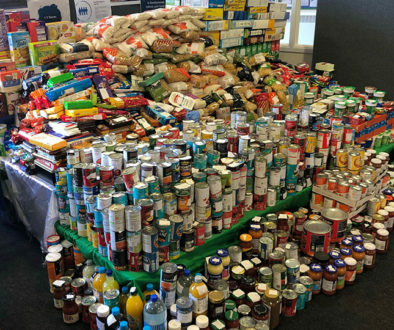 The children at Oliver House School celebrated Harvest Festival this year and donated all the food they had collected to Wandsworth Foodbank. The whole school gathered together in the playground on a beautiful autumnal day for the celebration to give thanks for the harvest and bring their gifts to be blessed by the school chaplain Fr Frank Calduch. The children had been encouraged to buy some food from their own pocket money to support people who do not have a home or access to enough food. After collecting everything together, the children helped load the minibus and deliver it to Wandsworth Foodbank.